Deluxe bottling kit contains everything needed to bottle fresh beer. Kit includes: 10 bottles, 30 caps, and 1 capper. Designed to use with 1-gallon beer brewing kits. Amber colored glass keep out harmful light. Want to brew your own traditional German Style Hefeweizen at home? This popular home brewing kit lets you do just that. Our Hefeweizen beer brewing starter kit is unique and easy to drink. It has a silky smooth mouth feel. Complete beer brewing kit. This Oktoberfest Beer Kit brews a full bodied, malty beer with a light red hue, subtle bitterness, caramel sweetness, and a clean dry finish. 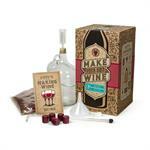 Complete home brewing starter kit with everything you need. Decorative Flue Stop Adjustable 4-8"
Embossed, enamel coated front and back. Clamps of spring wire constructed so that they won´t lose their strength. Fatboy USA contributes 10% of the proceeds from every Fatboy (PRODUCT)RED purchase to the Global Fund to fight AIDS. 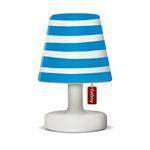 Fatboy Cooper Cappie available in 2 colors to choose from. 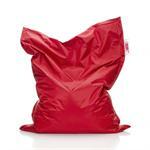 Fun and durable lounge bean bag for your dog from Fatboy. 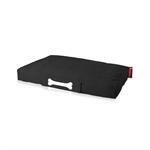 Your furry friend will enjoy the same extreme comfort and lounging experience as you do with your Fatboy. 10 Stonewashed colors available. 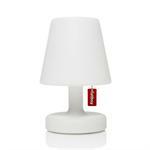 This petit lamp provides a gentle yet powerful light source that you can take just about anywhere - indoors or out. 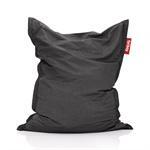 A new style of the multifunctional lounge bean bag, the Fatboy original. 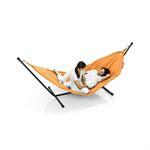 Take it wherever you desire; suits any space indoors and out! A hip and fun outdoor bean bag lounge chair. 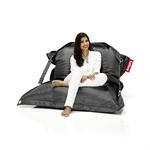 Fun and multi-functional lounge bean bag from Fatboy; for reading, watching TV, cuddling, and relaxing. Soft and durable outer fabric made from 100% stonewashed cotton. 11 colors to choose from! 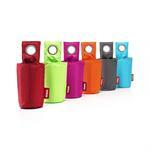 The essential bottle holder from Fatboy® for any occasion and makes for the perfect gift. Available in 5 colors to choose from. This unique product removes residues from the soleplate of a HOT iron. his candle-saving glue is conveniently available and stored in a small pocket-sized round tin. To use, simply place a small portion of the adhesive onto the candle base, and then press and twist your candle into the holder. This stunning piece is the perfect compliment for cheeses, breads, meats, fruits, nuts, tapenades, jellies and more. Made from gorgeous Acacia Wood, known for its unique and natural contrasting patterns and end grain butcher block construction. This salve cleans and polishes your marble and other hard surfaces. Known for quality, Old Craftman's cleaning formulas are the tried and true, go to cleaners for all of your problem spots and stains. Half ounce tin. Improves the appearance of all woods and scuffed leather. Recommended by cabinet makers. To use: apply heavy coat. Rub in with circular strokes. Wait 5 minutes, then buff lightly. Apply second coat if needed. 1/2 ounce metal tin. Well, now you can say goodbye to those ugly white rings on your furniture. 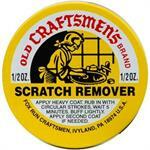 Think of Old Craftsmen's Spot Remover as first aid for your furniture. 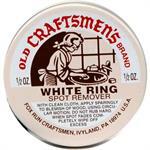 Use it for any white rings left from vases, glasses - anything wet! Half Ounce Tin of Salve like paste. Like all Fresh Wave products, our Soy Candles are natural and safe to use around people and pets, so they're also safe to use in the kitchen around food. And unlike scented options, these candles won't leave your house smelling like a pine forest. Small, mesh sachets filled with powerful, odor destroying beads that attract and eliminate malodors. Designed for on-the-go lifestyle. Simply add a capful into your vacuum bag and go. 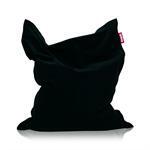 As odorous air enters the bag, the unscented pearls eliminate any odor molecules. 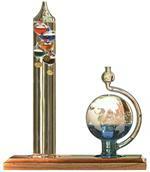 When temperature rises, the liquid inside the glass tube becomes less dense and the liquid filled bulbs will sink. Grapefruit - citrus x paradisi (cold processed from the fresh peel) fresh, sweet citrus scent. Antiseptic, astringent, bactericidal, stimulant. 100% pure, undiluted oils. 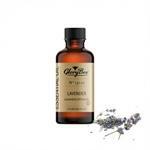 Lavender is an natural Antidepressant, antiseptic, deodorant, insecticdal, sedative. 100% pure, undiluted oils. 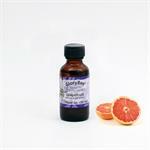 This highly versatile essential oil is mostly known for its calming and relaxing qualities. 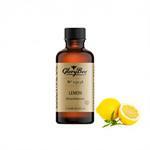 Lemon - citrus limon (cold process from the fresh peel) light, fresh citrus scent. Antimicrobial, antiseptic, astringent, bactericidal, diuretic, insecticidal. 100% pure, undiluted oils. 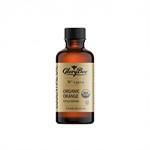 Orange - citrus sinensis (cold processed) antidepressant, anti-inflammatory, bactericidal, fungicidal, stimulant. 100% pure, undiluted oil. Patchouli - pogostemon cablin (steam distilled from the dried leaves) sweet, rich herbaceous scent. 1 ounce essential oil. 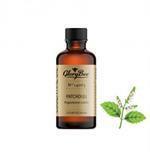 Patchouli essential oil is known to have a calming, grounding and balancing effect on the nerves and emotions.